With new cell phones, you can check your email, get directions to a restaurant and make crystal-clear phone calls from virtually anywhere. As the smartphone becomes more ubiquitous, there are even more amazing things you can do with these marvels of technology. There are a number of new thermostats that are Wi-Fi enabled, and they have companion apps for your Android or iPhone. You can use your phone to turn on the air conditioner an hour before you get home, or you can turn on the heater if a cold front comes through while you’re out of town. Don’t you hate when you forget to set the DVR to record your favorite show or sporting event? That doesn’t have to happen anymore with the mobile applications that cable and satellite television providers offer. You can program the recording of your favorite shows, and you can free up extra space on your DVR from the comfort of your smartphone. Increasingly popular “smart” televisions use Wi-Fi connectivity to provide streaming and video-on-demand capabilities to make your TV experience richer. 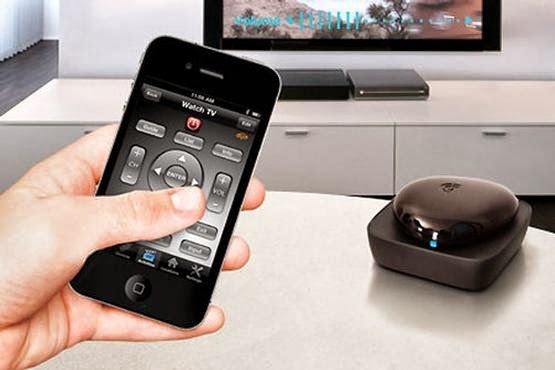 Instead of using the remote control that came with your device, many manufacturers offer companion apps that allow you to operate all of the functions of your new internet-connected television. Installing a Vivint security system is a great way to give you peace of mind when away from home, and you get even more functionality with the Vivint home security applications available for your smartphone. You can monitor and manage the entire system from your phone, including locks, motion detection, alarms and a variety of other sensors. The features and flexibility of a smartphone enabled security system will make you feel safe whenever you’re away from your house. Recent innovations in Bluetooth and near-field communications technologies allow you to operate special lock sets on your doors. These high tech locks are operated by a special app on your phone, and you can even set them to provide access to visiting friends and relatives. Baby monitors have been around for ages, but some newer models allow you to see video of your sleeping beauty from your phone. This technology allows you to see and hear your baby, and some models allow two-way communication so you can tell your precious baby goodnight from another state.